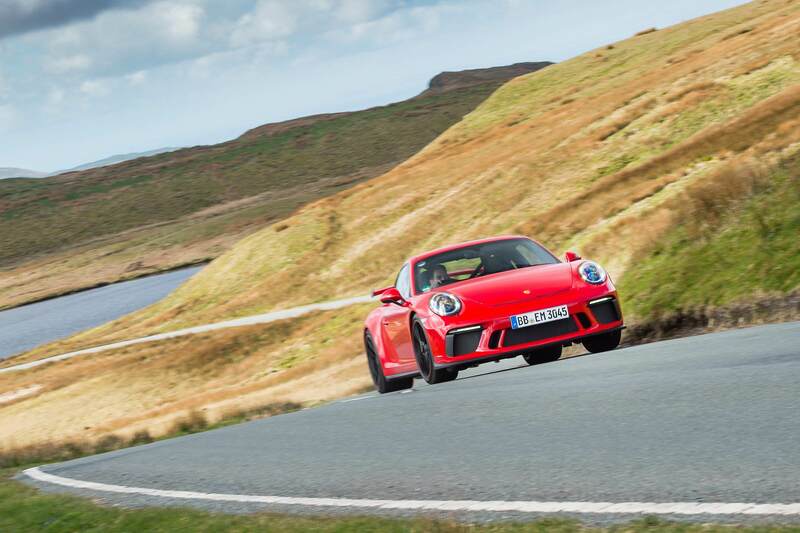 Many words have been used to eulogise the greatness of the GT3, at just about any moment where the car was introduced to the then-current 911 range. The latest iteration of the driver's favourite 911 rendered euphoric reactions due to the long-awaited return of the manual gearbox. 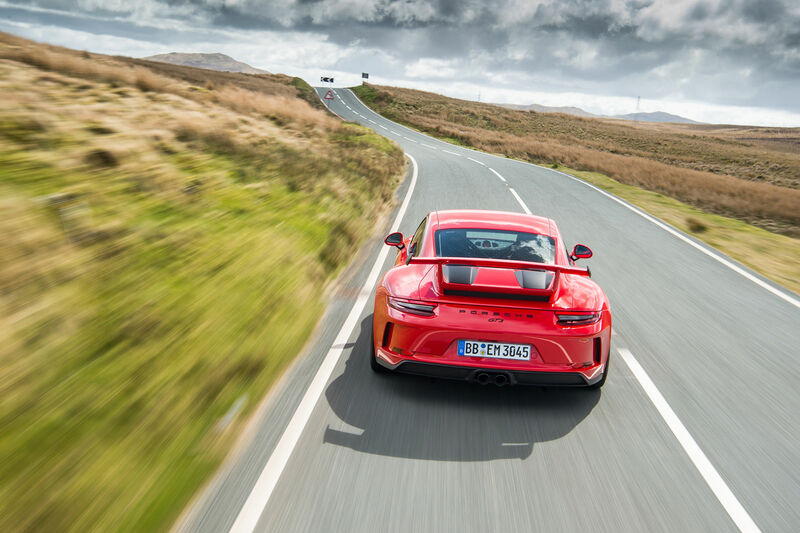 Combined with the profoundly impressive 4-litre naturally aspirated flat-six, the current GT3 represents the heart and soul of modern Porsche purism. 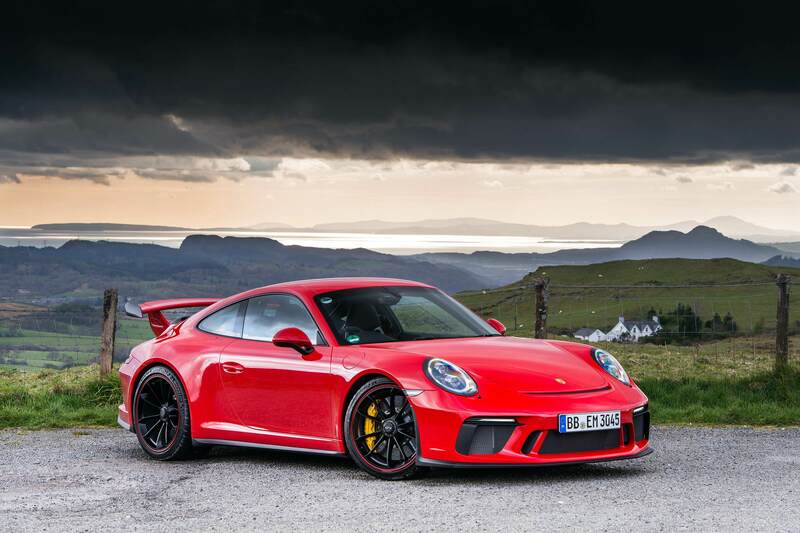 From the likes of Evo, the current GT3 experience seems somewhat overwhelming, or in their words: "The engine note hardens at 7,000rpm and the rev-counter needle explodes around the dial, engine speed rising so quickly and ferociously you swear something is about to blow up. Over the final dash to 9,000rpm it sounds like a bandsaw cutting through stone, and the intensity of the delivery doubles while the acceleration becomes unbearable." 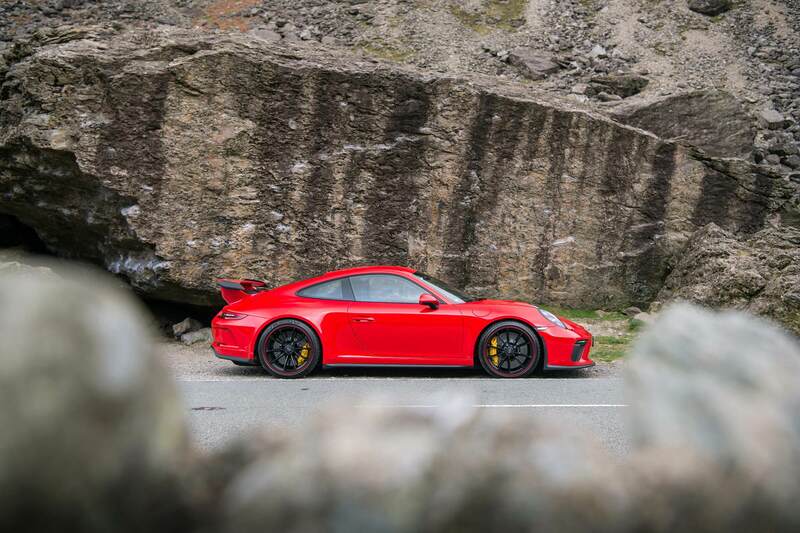 The curvy B roads of North Wales provide the perfect setting for a long drive in the GT3, giving way to a wonderful series of photos, courtesy of Evo Magazine. This example is finished in non-metallic Guards Red over black wheels, fitted with the no-miss Clubsport Package and PCCBs.